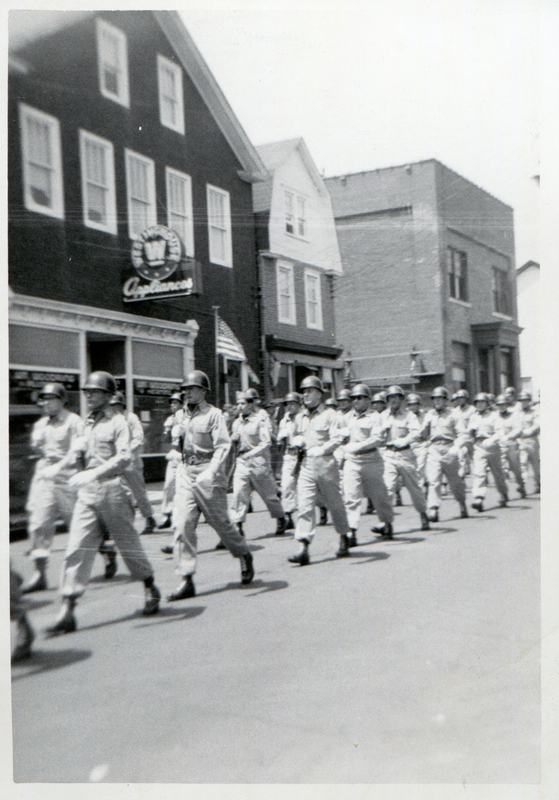 These come from Charlie Gallagher: "Grab a lawn chair, place it on the sidewalk across from Doc Welsh, open a Coke and watch the Memorial Day Parade. 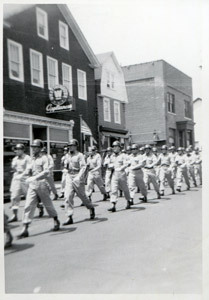 1950." 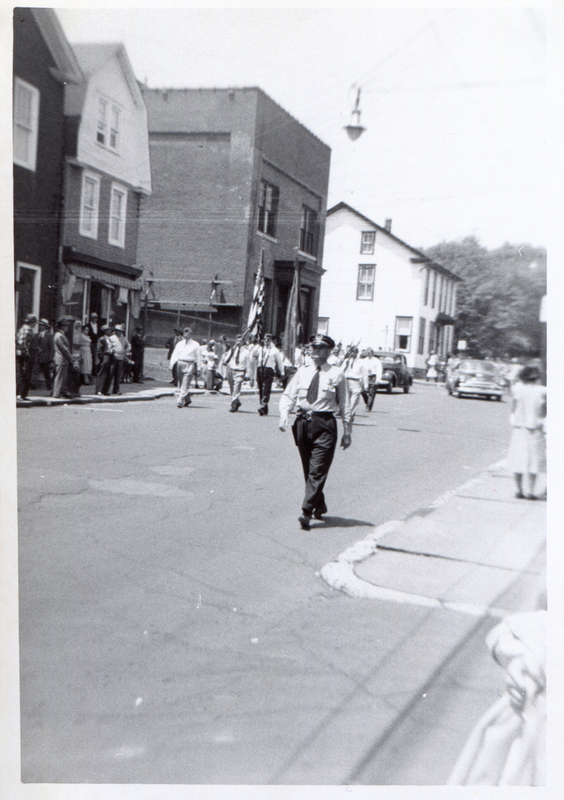 Also from Charlie Gallagher: "Ok, it's 1951 now you¹re on the 300 block Washington Street north of and across the street from St. Peter and Paul Slovak Lutheran Church. 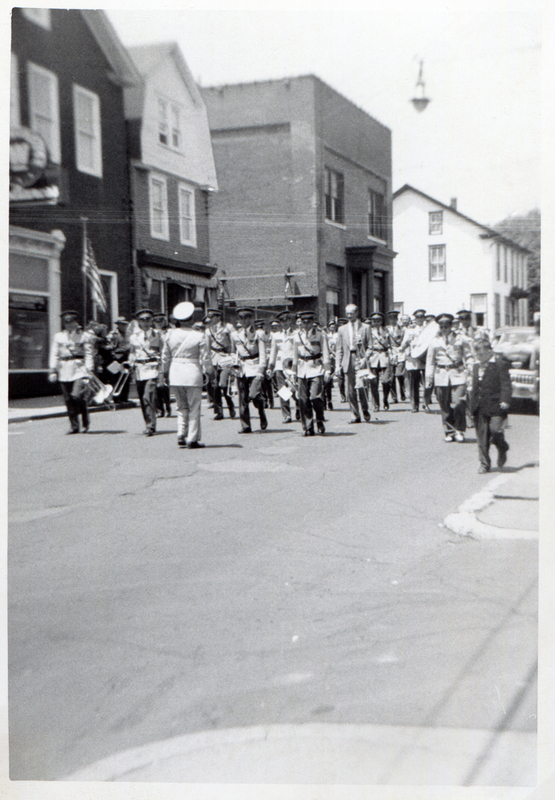 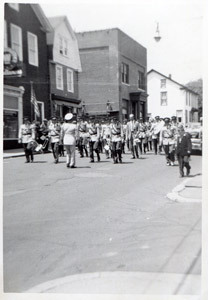 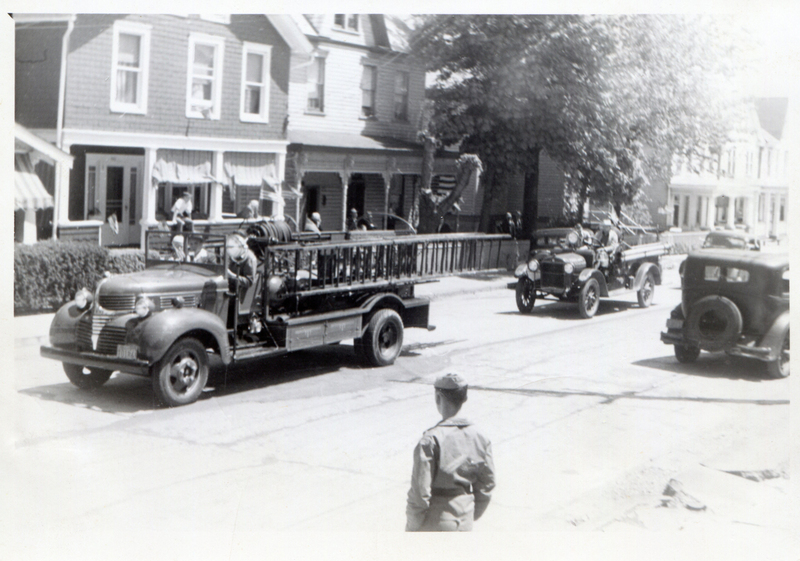 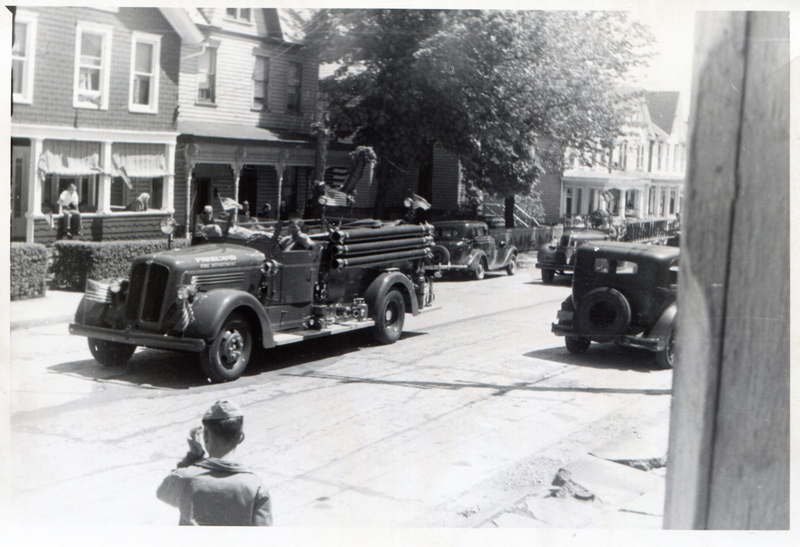 The parade got a little smaller for 1951." Thanks, Charlie! 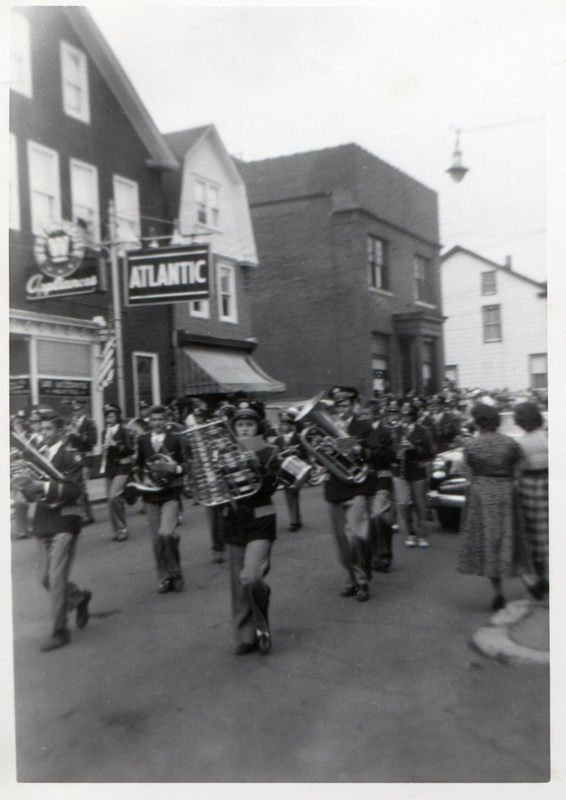 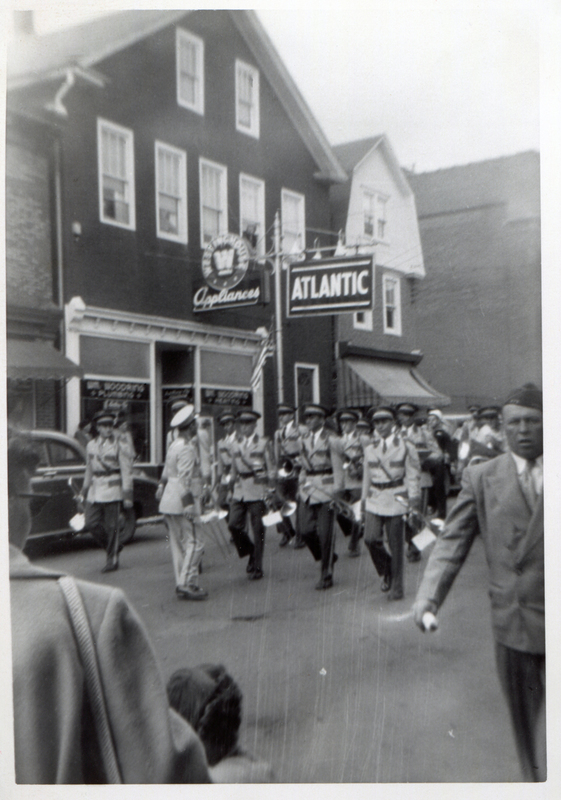 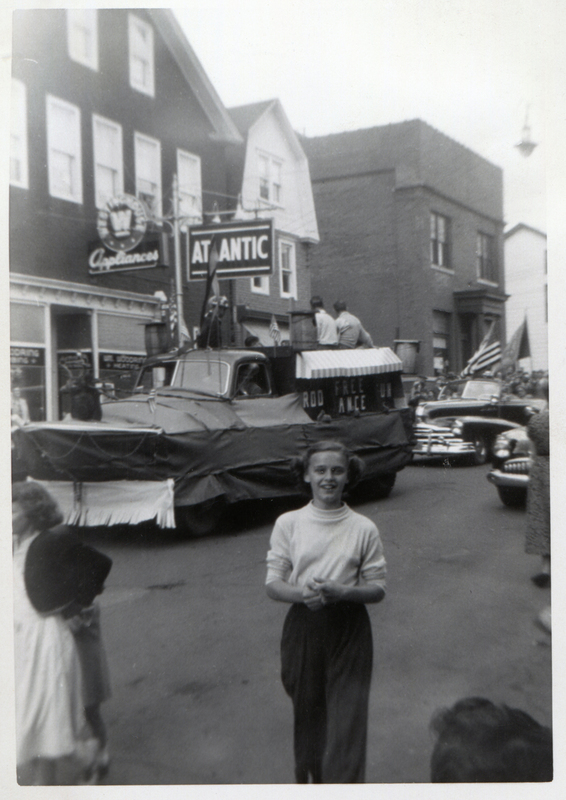 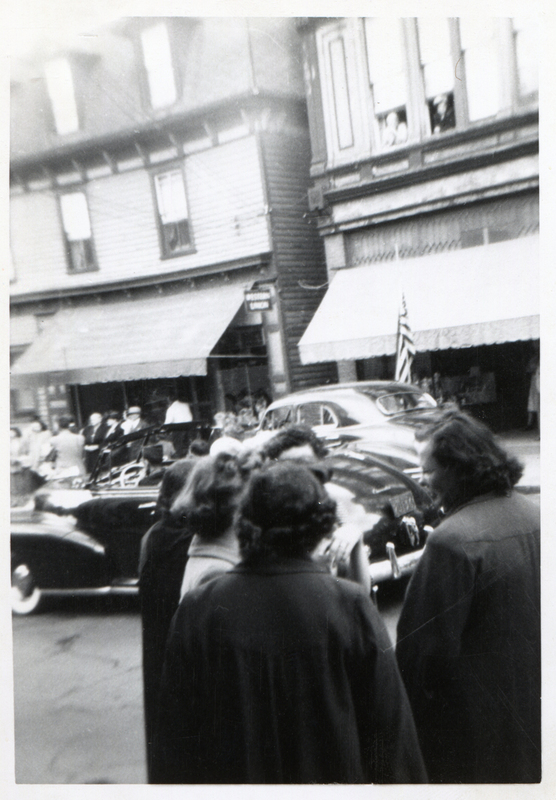 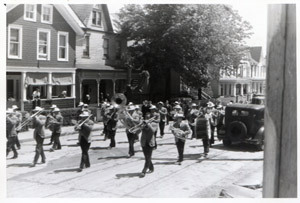 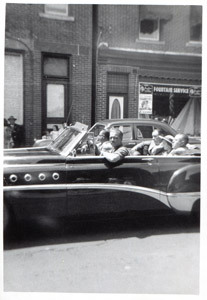 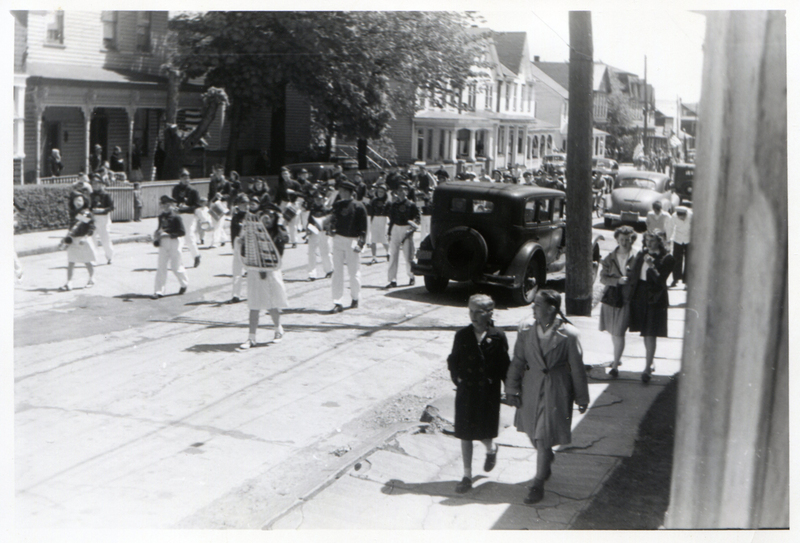 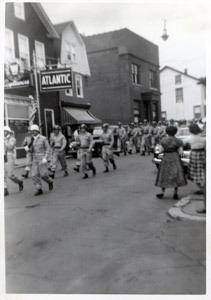 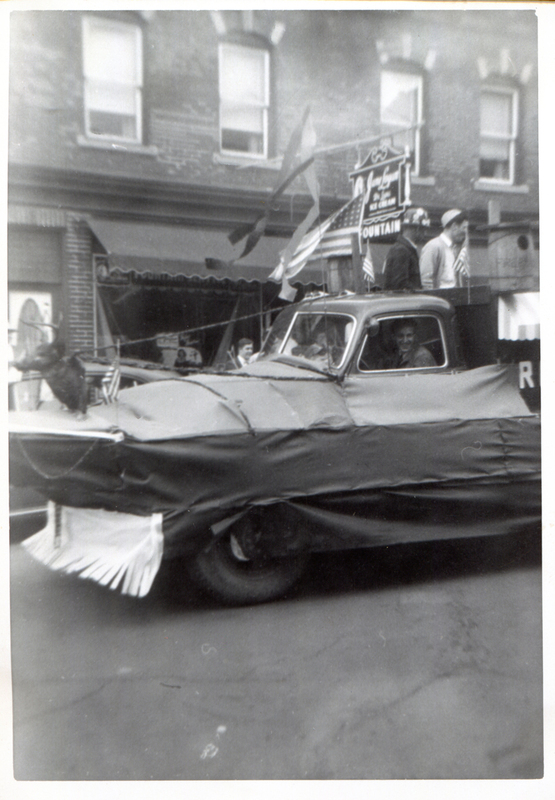 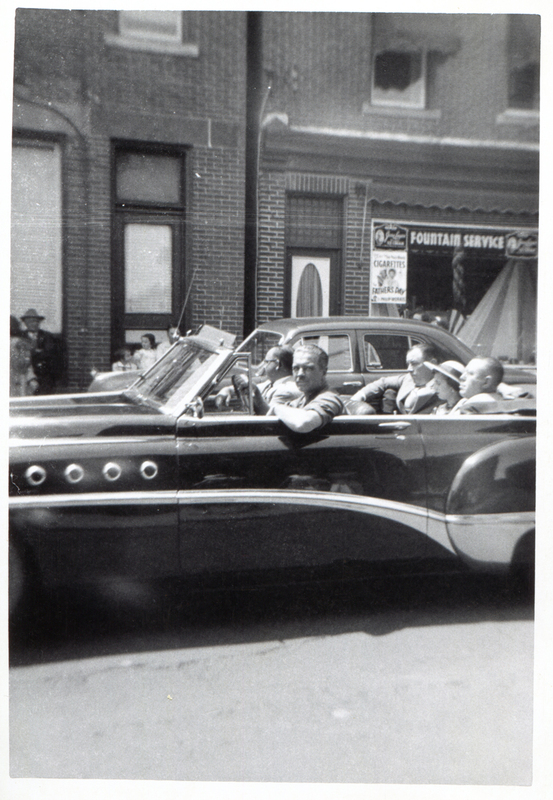 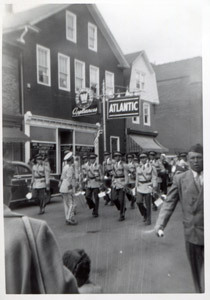 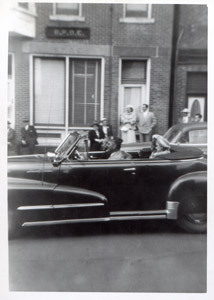 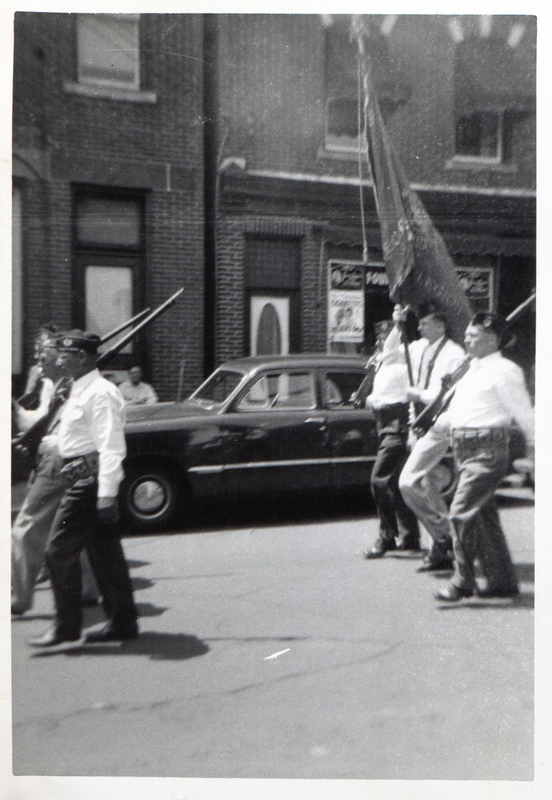 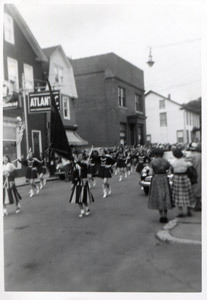 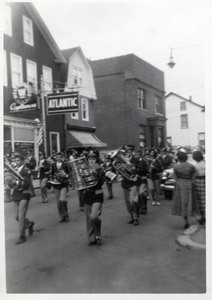 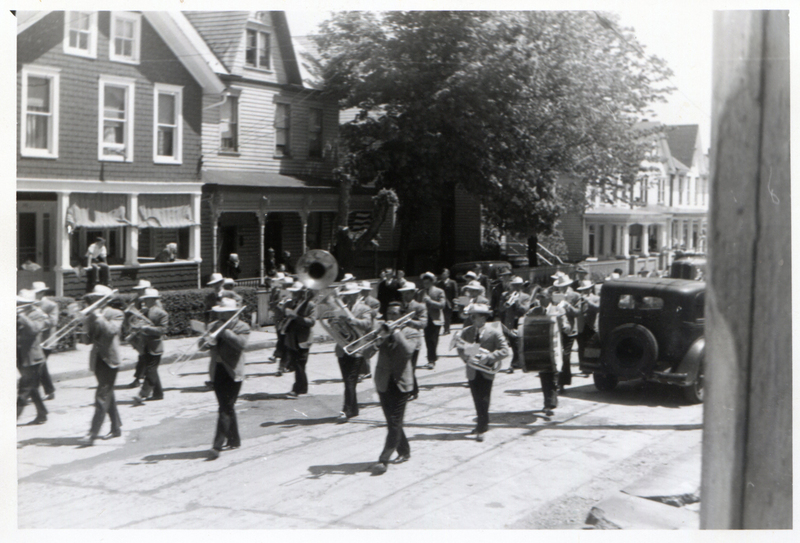 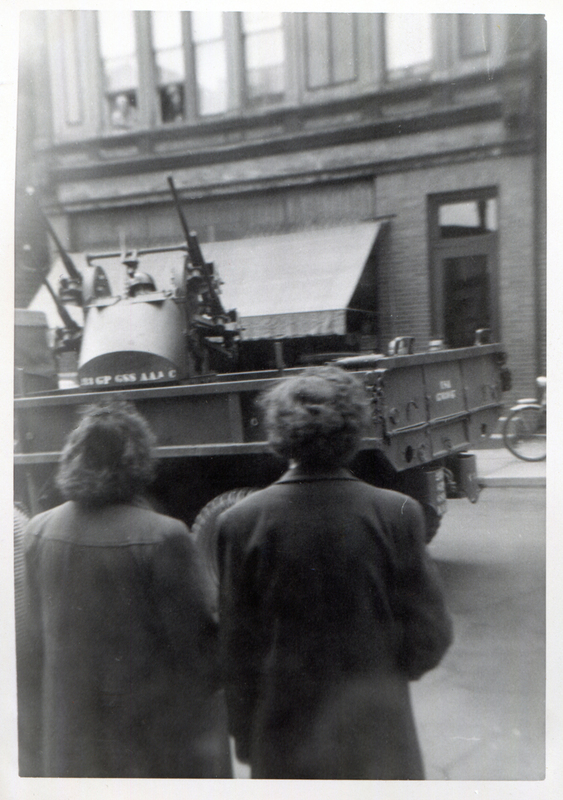 Ed Merrick also commented about these four photos: "The photos that you posted of the 1951 parade along Washington Street had me puzzled until I looked more closely. The two giant chestnut trees that grew in the Slovak Lutheran churchyard and in front of the Marencin residence were cut down years earlier during the chestnut blight, and yet the photos show at least two trees there. 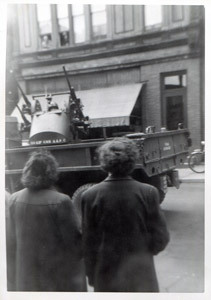 I was home from school with illness that day and watched their removal. 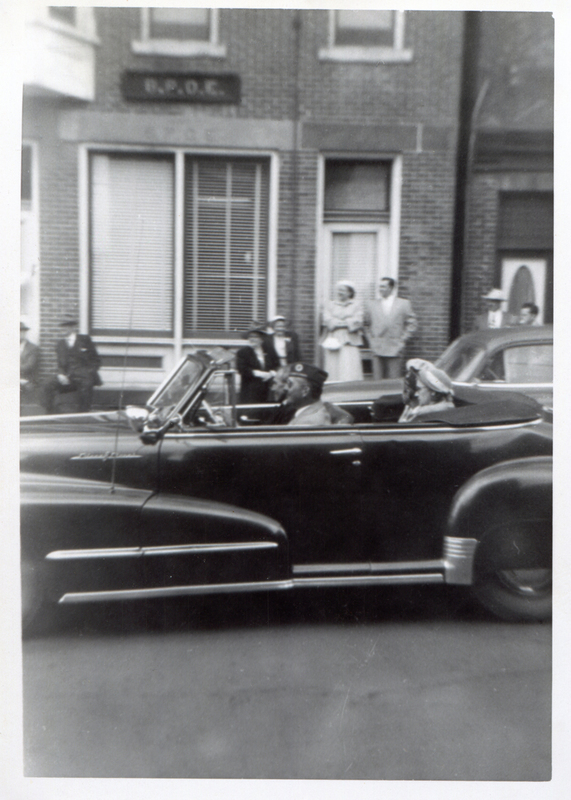 It struck me that trees in the photos were too small -- the chestnuts were huge -- and then I noticed a strange form in front of the the Marencin residence and realized, when I enlarged the photo, that it was almost certainly the stump of one of the old chestnut trees. 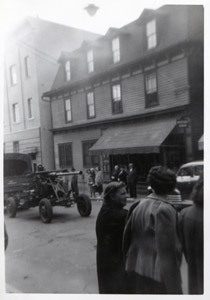 It was great to see a good photo of Karlick residence, with its wraparound porch, to the left of the Marencin residence. 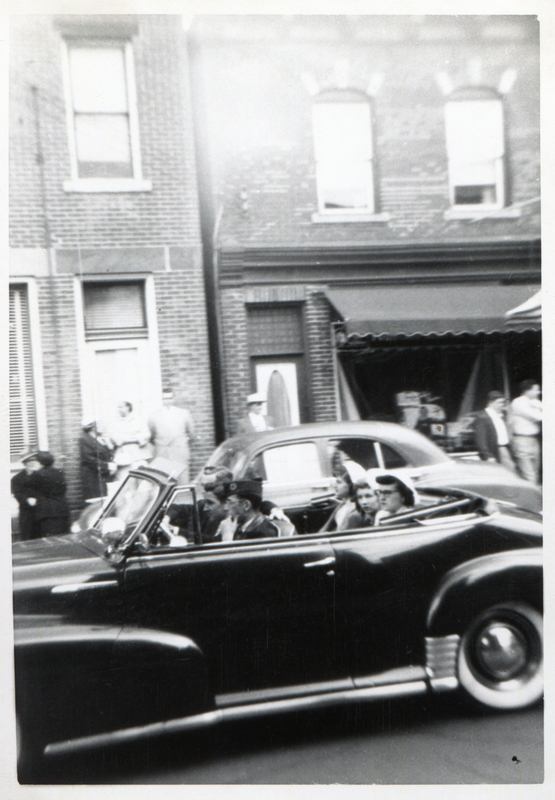 The car on the right is parked in front of our former residence at 342 Washington Street. 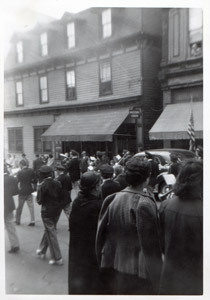 The utility pole was at the north end of our sidewalk. By 1951, we had moved to 355 Centre Street. 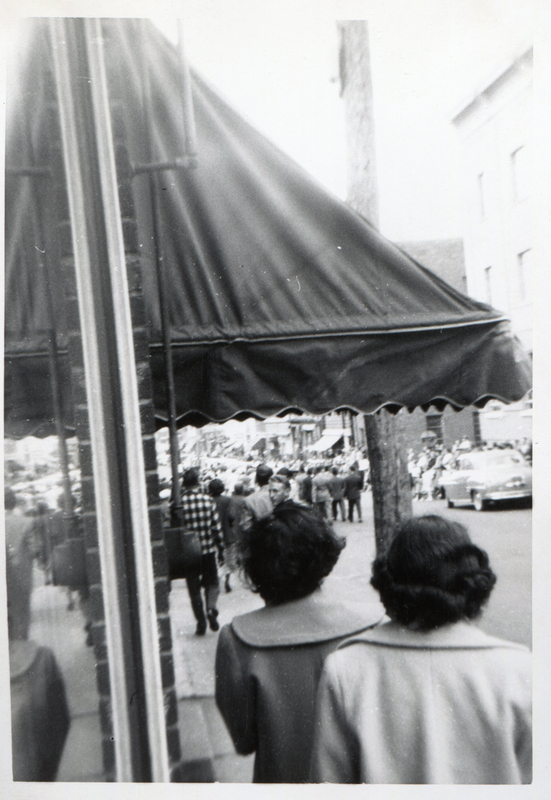 I'm so gratified and thrilled that people are volunteering to share these wonderful pictures."